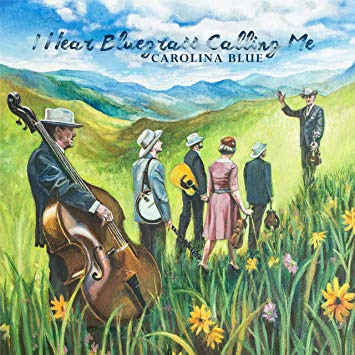 Nashville, Tenn. – The time has finally come, as Bluegrass band Carolina Blue releases their highly-anticipated new project, I Hear Bluegrass Calling Me. Released via Pinecastle Records, the album includes 13 new recordings, and serves as the group’s third full-length LP. In addition to being released at physical and digital retailers (download and stream here), fans can also purchase a copy of I Hear Bluegrass Calling Me on vinyl as well (purchase here), marking the label’s first venture into the popular manufacturing style.